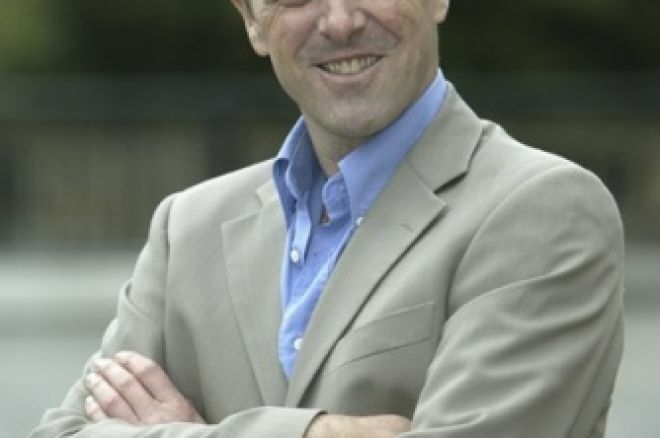 The Great British Poker Tour (GBPT) has announced that former England Test cricketer Phil "Tuffers" Tufnell is going to front their TV series, beginning on the 4th of October. Known as "The Cat" through cricketing circles, Tufnell has always been willing to give honest, passionate, funny and, at times, controversial opinions on many topics. The GBPT has so far ventured to Edinburgh, Teesside, Nottingham, Bournemouth and Leeds. The tour shows the massive amounts of poker talent across Britain and forms a series of 12 one hour television episodes. The show is hosted by Alex Jones and runs through to the Bristol final in early November. "Tuffers" and well respected poker pro Simon "Aces" Trumper form a fantastic duo; providing expert commentary on each of the tournaments. The commentary is both entertaining and very informative. Every episode will have detailed coverage of the play from the final table at each festival. This will include a players-eye view of the cards. The show promises to be exciting viewing as we see amateur players taking on seasoned professionals and a number of well known celebrities. Celebrities to have taken part so far include; Michelle Heaton of Liberty-X, Doug Henshall of ITV1's Primeval, Norman Pace from comedy duo Hale &amp; Pace and various well known sport stars. Tufnell commented: "I am really excited to be involved with the GBPT. I've really got into poker recently and I try and play as much as I can. Poker really is a game that anyone can learn. I've entered several tournaments in the past and not done too badly. I even released a DVD last year to teach people how to play so hopefully I can bring my knowledge and experience of the game to the viewers." Seasoned poker pro, Simon Trumper added: "Viewers will be amazed at the standard of play. There are some very dramatic hands which make for great television." ITV4 Channel Controller, David Fewings, said: "We're looking forward to having The Great British Poker Championship on ITV4 this autumn. The popularity of poker is growing every day and I'm sure this will be a fantastic contest." The GBPT Grand Final is taking place at the Gala Casino Harbourside, Bristol from the 5th – 11th of November. The prize pool is a massive £650,000, as well as taking the prestigious title of "Great British Poker Champion, 2007." Detailed information about the GBPT – events, players, qualification and TV schedules, can be found on the dedicated website, www.gbpokertour.com.